ONCHAN, Isle of Man – April 6, 2017 – The promise of two $1 million first prizes, an overall series guarantee of $55 million, and a wide range of poker variants to choose from, make the 2017 Spring Championship of Online Poker (SCOOP) the most exciting, biggest and best ever online poker series at PokerStars, an Amaya Inc. (Nasdaq: AYA; TSX: AYA) brand. 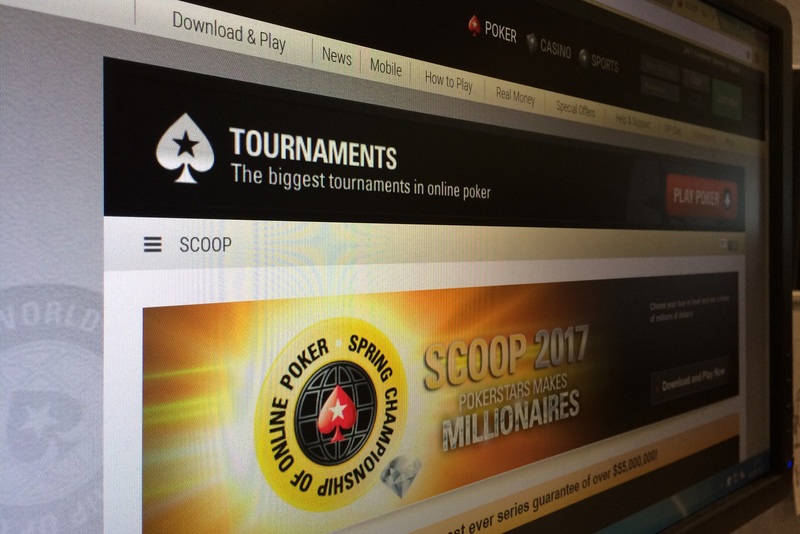 Players will compete for more than $200 million in prize pools on PokerStars when SCOOP events are combined with scheduled tournaments this April and May. From April 30 to May 23, there are 57 SCOOP events scheduled across three stakes. Buy-ins have been reduced to an all-time low of $5.50, $55, and $530 making this the most accessible SCOOP series ever. PokerStars has a whole host of big money tournaments that run every single day of the week. These tournaments promise big guarantees that means players are spoilt for choice, especially on the weekends with a strong Saturday line-up and long-standing signature tournaments such as the Sunday Storm and Sunday Million. Events 37-H*: on Tuesday May 16 and 41-H: on Wednesday May 17 are the events to watch. Not only do they promise players great value, but with $1 million guaranteed for each winner, it’s the chance to finish the tournament as a real life millionaire. PokerStars is inviting players to decide on the 2017 Players’ Choice Event by voting for their preferred game variant from four already chosen by Team PokerStars Pro Online members Jamie Staples, Mikhail Shalamov, Randy Lew and Lex Veldhuis. Players can cast vote their vote on the PokerStars Facebook page from mid-April. Team PokerStars Pro members have already cleared space in their diaries and will be participating in this year’s SCOOP. Those confirmed are Jason Somerville, Chris Moneymaker, Bertrand ’ElkY‘ Grospellier, Marcin Horecki, Igor Kurganov, Jason Mercier and Fatima Moreira De Melo. Team PokerStars Online members Felix Schneiders, Jamie Staples, Mikhail Shalamov, Lex Veldhuis, Randy Lew and Adrienne Rowsome will all be streaming the SCOOP events they play; as will Jason Somerville, ElkY and Jason Mercier. Satellites to SCOOP 2017 have begun. You can find the full schedule on the PokerStars Blog. SCOOP 2017 will overlap with PokerStars Championship presented by Monte-Carlo Casino® (April 25 - May 5) and PokerStars Festival Chile (May 20-27). Players attending these stellar live events will not miss out on PokerStars’ largest ever online series guarantee because they will be able to participate in SCOOP from these and many other locations. *SCOOP Events labelled ‘H’ are high stakes, ‘M’ are medium stakes and ‘L’ are low stakes.